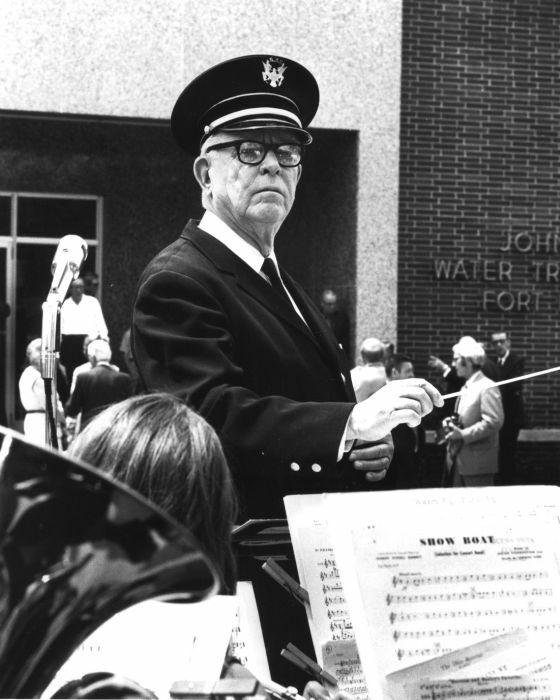 Bill Green is shown conducting the performance at the dedication of the John Pray Water Treatment Facility in Fort Dodge. 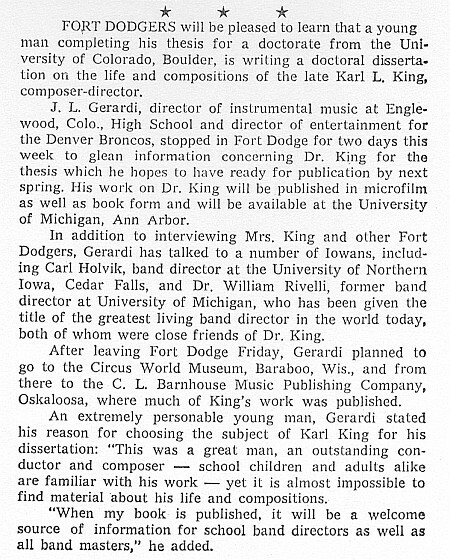 John Pray's two older brothers, Lou and Gilbert, were musicians who had played for Carl Quist and Karl King for many years. Their dad, William L. Pray, was the gunsmith whose participation in community bands began before he moved to Fort Dodge in the late 1870s. When Fort Dodge was large enough that a water plant was needed, William Pray was given the position of Superintendent of the city water works. In 1911 when William moved to Oregon, his son John, who had started working for the Fort Dodge Water Department as a meter reader, was named the new Superintendent of the Water Department. 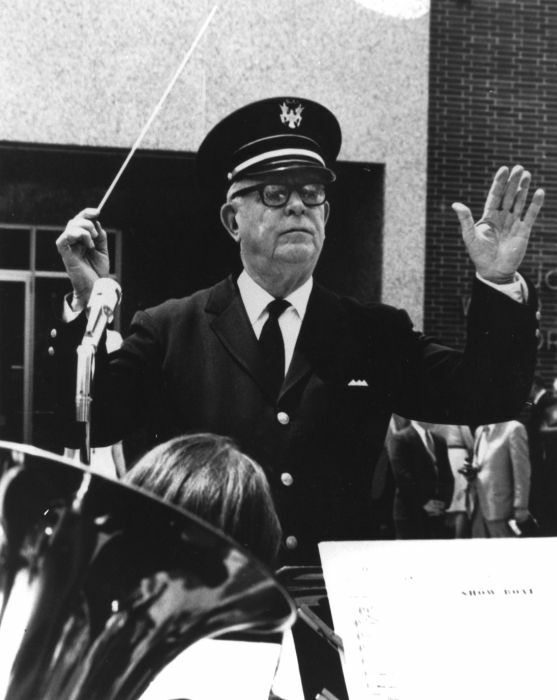 John Pray held this job until he retired in 1970. 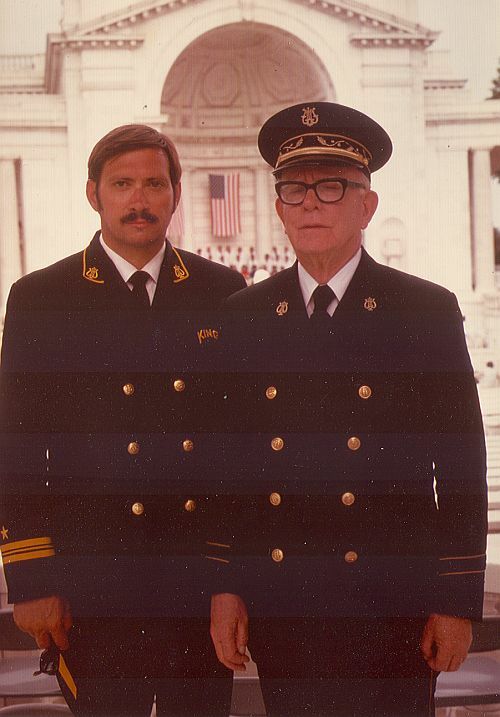 Bill Green pictured with Duane Olson in Washington DC.